At Gazal Eyecare we would love for you to purchase a new pair of glasses but also are here to assist you with your old glasses or even purchases elsewhere. 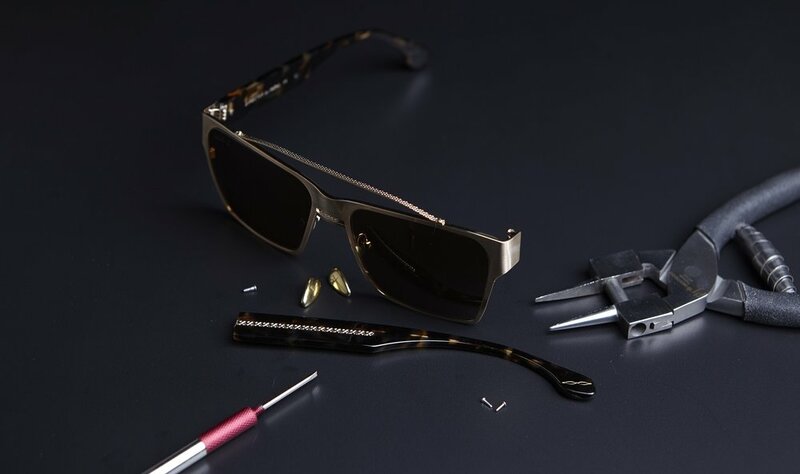 Even if you did not purchase the glasses from us, we will gladly help you out in anyway possible! Check out the many services listed below and call us to see if we can assist with your unique eyewear situation. Frame Adjustments, update your glasses prescription. New Lenses in your favorite glasses! Every now and then your eyeglasses, whether new or old, may need a little adjusting. Stop by anytime to have your glasses adjusted so that they are more comfortable, look better, and provide the best optimal vision. Have eyeglasses that you love, but the prescription is no longer good? Bring them by the eye care boutique and we will evaluate them and your new glasses prescription and get your glasses updated. New nosepads, parts, screws, and eyewear accessories. Nosepads can change color, deteriorate, and/or fall off. Come by anytime to have new nosepads put into your glasses. If your frames are getting a little messy or the lenses just do not seem to get clean anymore. Stop by Gazal eyecare to have the frames evaluated to see what can be done to get them back into shape. Having trouble seeing through your new or even old pair of eyeglasses? Not all frames are made equal, and here at Gazal Eyecare we are more than happy to take a second look at no charge to see what can be done to improve your vision to the fullest. Please bring in your most updated glasses prescription along with your frames so we can give you the best possible evaluation. If you would like a second opinion on your prescription contact us to make an appointment with our eye doctor.